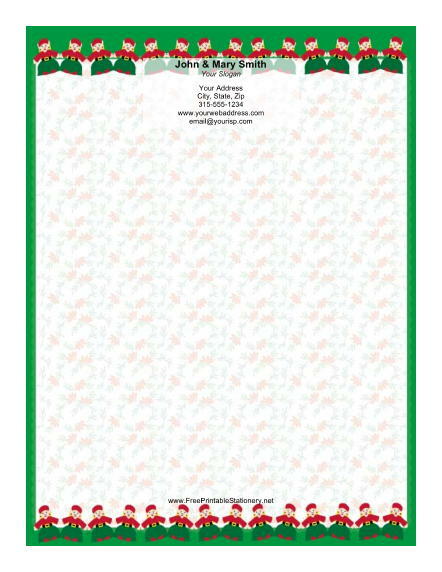 Two rows of Christmas elves holding hands decorate this happy Christmas stationery design. The paper doll style is accentuated by a green border. This nostalgic craft-inspired Christmas letter border is perfect for writing to grandparents.